We know what it’s like to manage a team and our goal is to let you escape from the HR admin so you can focus on growing your business.Flow HCM is a Social all-in-one HR softwere that covers entire parts of HR from “Hire” to “Retire” which is the most important assets of HR Departments of your company.Flow HCM will make it easy for your HR team to start managing your HR effectively and efficiently. 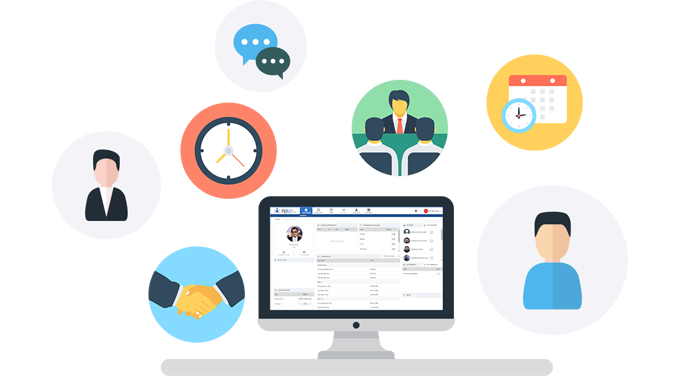 Considering the hectic manual work of HR dept, we analyzed various industries that includes heath, factories, education etc & developed awesome powerful modules to help you automate things around!. FlowHCM is completely a cloud based system which can be accessed from anywhere at any device. Being a cloud based you never need to worry about your data loss! We pride ourselves on providing the best possible support for our clients. As a way of being sure that we maintain our own high standards we have established a set of values that reflect our skills, our vision, and the way that we operate.